Came across this courtesy of Georgia Sports Blog. The Larry Munson Drinking Game. 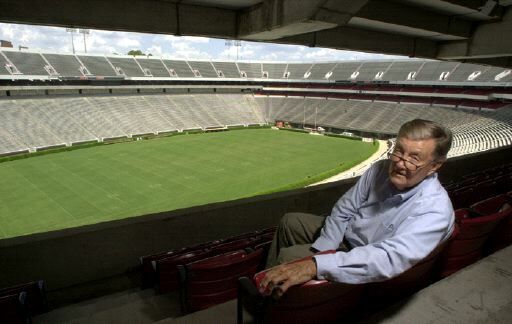 Like Larry, we've all been drunk in Sanford Stadium. Not to be confused with the Brent Musburger Drinking Game. Epic stuff, although as frequently as Munson says all that stuff, and the drinks involved, I can't imagine anyone participating in this game being conscious by halftime. My humble addition would be a drink for any mention of the Frog Pond Lounge. No prob - thanks for the great post. Have fun at the game tomorrow.